WASHINGTON -- The Army is working hard to determine Soldiers' knowledge, skills, abilities and preferences, and use those metrics to get the best military occupational fit for them, said Lt. Gen. Thomas C. Seamands. Doing so will surely benefit the Soldier as well as optimize Army readiness, he said. Seamands, the G-1 deputy chief of staff, testified Feb. 14 before the Senate Armed Services Subcommittee on Personnel. The general told lawmakers the Army is now piloting a talent assessment program that will identify talent and match it to Army requirements. For example, this past summer at the Aviation Captain's Career Course at Fort Rucker, Alabama, junior captains completed a battery of talent assessments, which provided them with individually-tailored feedback on where their talents align with the requirements of the Army's various career specialties. 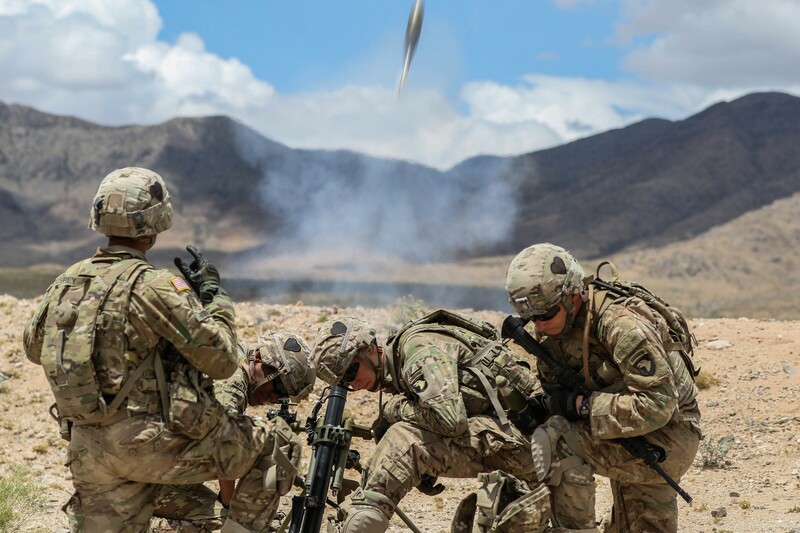 Likewise, junior captains at the Field Artillery Captain's Career Course at Fort Sill, Oklahoma, are currently conducting a similar talent assessment, he said. The pilot program finishes this spring, and the Army plans to expand the assessment program to include additional career courses over the next two years. "Our goal is comprehensive visibility of all our Soldiers' knowledge, skills, abilities, and behaviors to best fit the right person in the right job at the right time," he said. One way to get that visibility is the Integrated Personnel and Pay System-Army, or IPPS-A, which will transform the Army's legacy personnel system to a 21st century talent management system, he said. The IPPS-A will enable the Army to manage all 1.1 million Soldiers across the total force in a single, integrated personnel and pay system that will directly impact the readiness of the Army and improve the lives of Soldiers, Seamands said. Also, IPPS-A will provide a full end-to-end audit capability to ensure Army personnel and pay transactions are compliant with the law, he noted, explaining that IPPS-A "integrates software that creates distinct roles and permissions by individual positions, sets business processes, segregates duties, and generates system alerts when changes are made." Those are all things Seamands said are not possible with current Army personnel systems. Initial implementation of IPPS-A will start with the Pennsylvania Army National Guard in October 2018, he said. In addition to finding the right jobs for Soldiers while they're in the service, the Army is also committed to ensuring their successful transition to the right civilian jobs upon separation, Seamands said. Each year, about 100,000 Soldiers transition from the Army via either retirement or separation, he said. "Our mandate here is clear -- we must continue to focus on preparing our Soldiers for transition to productive veterans across our respective communities," the general told lawmakers. The Army's Soldier for Life strategic outreach program has connected more than 1,000 private and public organizations to transitioning Soldiers and spouses, resulting in increased educational and employment opportunities for Army veterans and their families, he said. According to the Department of Labor, Soldier for Life efforts assisted in reducing the veteran unemployment rate to 3.7 percent for fiscal year 2017, along with the lowest amount of unemployment compensation for veterans in 17 years. "We as an Army continue to enhance our policies and procedures for transitioning Soldiers and have ensured commanders understand that they must ensure their Soldiers attend VOW Act-mandated briefings," Seamands concluded. "In the end, it is in the Army's and our nation's best interest to ensure Soldiers transition successfully back into our communities. They are better able to become productive citizens as well as important ambassadors for the Army who can positively affect the propensity for others to serve."